Grand Cayman’s popularity as a destination wedding location is growing. There are many reasons for this, but the main reason is that it is easy to have a legal wedding on this British island. 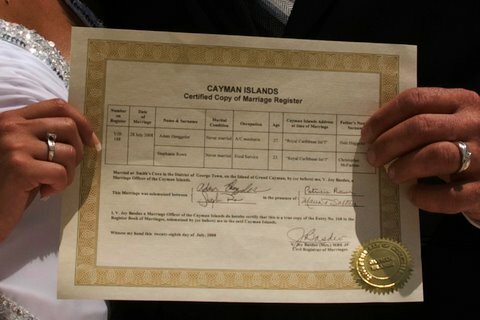 Over 20 years ago, the Cayman Islands lawmakers made it possible for visitors to be married without a residency requirement. This means you can be married the same day you arrive in the Cayman Islands, there is no waiting period as in some other islands and vacation spots. As a visitor, whether cruise or stay-over, you must be married by Special Marriage License. This license costs $250 and is available through the Governor’s Office. There is no need for you to get the license yourself. 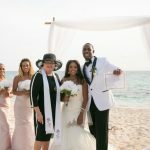 All Simply Weddings packages include the Special Marriage License, the responsibility of obtaining it, and all the requirements for a legal Cayman wedding. 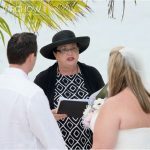 All Cayman Islands weddings must be performed between the hours of 6am and 8pm by a government – licensed Civil Registrar or Marriage Officer. There must be two witnesses over the age of 18 years present at the ceremony. Under the Marriage Law, your Civil Registrar/Marriage Officer must ask you certain questions, to determine that you are free in law to marry. 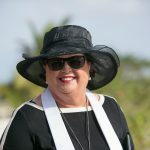 Weddings in the Cayman Island are performed under the Marriage Law. Once the ceremony is performed you must get a document called a “Registered Marriage Certificate”. It is your Civil Registrar or Marriage Officer’s responsibility to make sure you get this very important document as quickly as possible after your wedding. All “Simply Weddings” packages include this Registered Marriage Certificate. Additional copies can be obtained for a small fee. 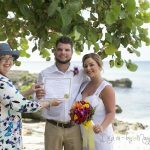 There is one other document which you are given on your Grand Cayman wedding day, and this is a signed certified copy of your Marriage Registrar. Here is a copy of the decorative certified copy that each Simply Weddings’ couple is given.